Early one warm spring morning some 24 years ago, my bride and I boarded a train in Atlanta and headed for our honeymoon. The train was called the “Southern Crescent” and it took us through the backwoods of Georgia, Alabama and Mississippi and then into the heart of the bayou. At the end of the day, we arrived at our honeymoon destination, a wonderful city called New Orleans. We checked into the Royal Sonesta Hotel in the heart of the French Quarter and then had dinner at a fantastic restaurant called Galatoire’s. After two days of living like the king and queen of Mardi Gras, we noticed that we were quickly running out of money. So we checked out of the Royal Sonesta and into the Olivier Guest House on Tolouse. Instead of dinner at Galatoire’s or Commander’s Place, we had coffee and beignets at Café Du Monde and gumbo and crawfish at Tujague’s. “Nawlins,” as the locals call it, became our favorite city. Over the past quarter century, my bride and I have journeyed back to Nawlins on several occasions. We have not only had a second honeymoon there, but third, fourth and fifth ones as well. We spent New Years’ Eve 1986 there and joined about 75,000 of our closest friends at the Superdome to watch our Volunteers upset Miami in the Sugar Bowl. We followed our Vols there again in 1991 and saw them beat Virginia in the Sugar Bowl. And we have even gone to Nawlins several times over the years when there wasn’t even a football game being played. On Sunday, August 28, we heard the news that there was a major hurricane taking direct aim at Nawlins. But I didn’t worry about it. I am old enough to remember when Hurricane Betsy pounded Nawlins in 1965 and Camille struck it in 1969. The Big Easy survived both of those blows, and I was confident that Galatoire’s, Café Du Monde, the Olivier Guest House, and all my other favorite haunts in the Big Easy would be just fine, thank you. But it wasn’t fine, of course. Hurricane Katrina struck Nawlins and the Gulf Coast with ferocity, killing hundreds and forcing thousands either to flee to safety (the lucky ones) or to pray for rescue. I spent the next few nights watching the TV news footage of the beautiful town where my bride and I spent our honeymoon. I felt heartbroken and helpless. I tried to contact my friends who live and practice law in Nawlins, Gulfport and Biloxi. Fortunately, I learned they were all safe. Over the next several days, I received emails from bar leaders in Louisiana and Mississippi. I learned that in Louisiana alone, some 6,000 lawyers (one-third of the state’s bar) had lost their homes, their offices, and their law practices, at least temporarily, and perhaps permanently. Within a few days after Katrina flooded New Orleans, and leveled so much of the Gulf Coast, thousands of evacuees began to arrive in Tennessee, many of those in my hometown, Memphis. And then, in the midst of all this suffering, something extraordinary happened. All across the Volunteer State, Tennessee lawyers began to volunteer to help. A network quickly developed consisting of the Tennessee Bar Association, local bar associations, legal services offices, law schools, and private law offices from Memphis to Mountain City. The TBA petitioned the Supreme Court to give temporary admission to displaced Louisiana, Alabama and Mississippi lawyers who sought to practice in Tennessee. Legal Service attorneys were joined by volunteer lawyers to quickly set up mobile legal clinics to counsel evacuees on available social services in the short-run and FEMA assistance in the long-run. Many lawyers even took evacuee families into their homes. Tennessee law schools took in law students from Tulane and Loyola, and lawyers all across the state gave generously to the Red Cross and other relief funds. In short, Tennessee lawyers opened their homes, their offices, their wallets, and their hearts. They generously gave their time, their talents, and their money. I look forward to returning to Nawlins someday. I look forward to taking my bride back for another honeymoon. 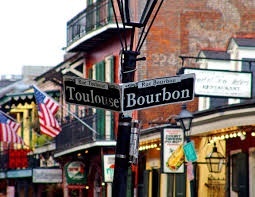 I look forward to having coffee and beignets at café Du Monde and riding the street car out to Tulane. But above all, I look forward to having dinner with dear friends who live and practice law in Nawlins. And when we break bread together, I will propose a toast to a great city, the triumph of the human spirit, the kindness of friends, and the kindness of strangers. mobdro for iphone: Download the latest version of official Mobdro APK from our repository and mirror servers. Enjoy free video streaming with Mobdro app. This amazing app enables us to watch our favorite TV channels, movies, shows, sports, tech and other videos on our smart devices.